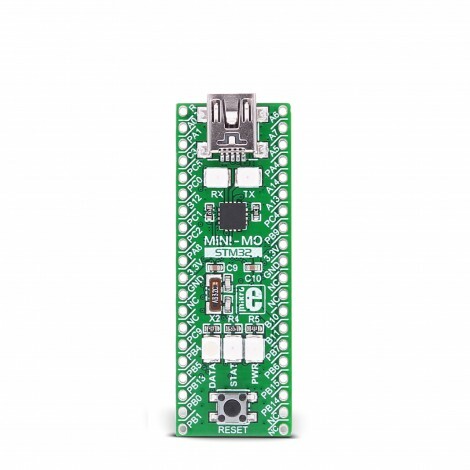 MINI-M0 for STM32 is a small ARM® Cortex™-M0 development board containing STM32F051R8 microcontroller. It perfectly fits into standard DIP40 socket. Board is equipped with 16MHz SMD crystal oscillator, and 32.768KHz crystal which can be used for internal RTCC module. It has reset button and three signal LEDs. Board comes preprogrammed with fast USB-UART bootloader, so no external programmers are needed for development. It operates on 3.3V power supply. 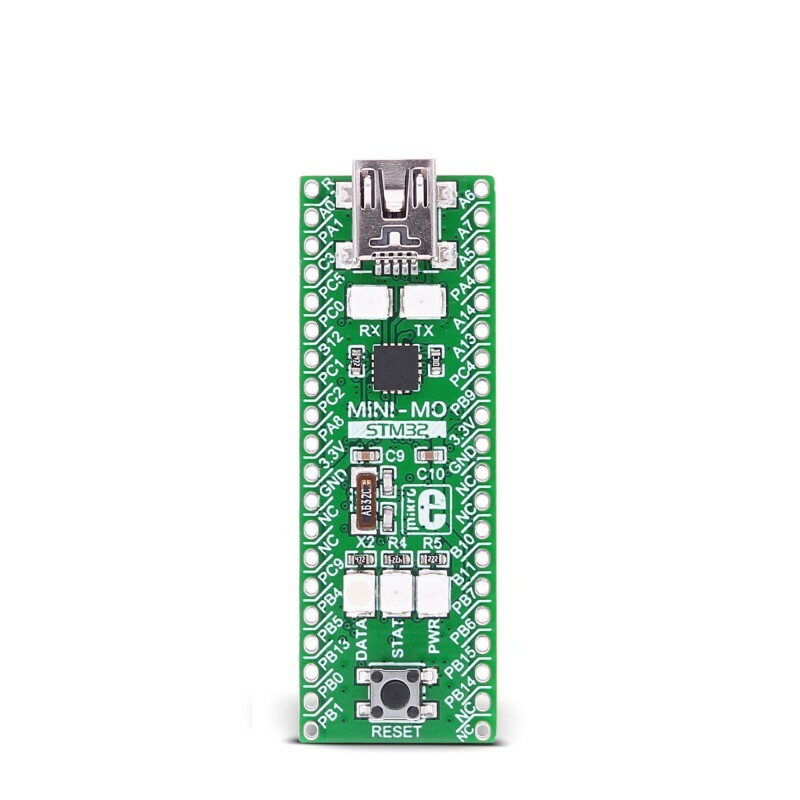 On-board voltage regulator allows the board to be powered directly from USB cable. Board can be used as a substitute for 8-bit microcontrollers in DIP40 packaging working on 3.3V, thus adding exponentially more power to your target device. STM32F051R8, 32-bit ARM Cortex™-M0 CPU with frequency up to 48MHz. It features 64Kb of Flash, 8K RAM and extensive range of enhanced peripherals and I/Os. USB-UART (FT230x), Signal LEDs, Crystal oscillator and Reset Button on board. RX and TX LEDs are available for monitoring UART communication.